Thin-walled glass fiber reinforced concrete (GFRC) panels are being used as the primary cladding material on many landmark buildings, especially in the last decade. GFRC is an ideal material for building envelopes because it is durable, it can resist fire and the environmental impact is low compared to other materials because the base materials used in the production of GFRC are widely available throughout the world. Thin-walled GFRC was initially developed as a cladding material in the 1970s and 1980s where the majority of the available research lies. The introduction of 3D CAD software has enabled the design of buildings with complex shapes that, in the past, would have been rationalized to meet budget and time constraints. However, when GFRC has been proposed for buildings with a complex freeform geometry it has been replaced with alternative materials such as glass reinforced plastic (GFRP) due to the high cost and time required to fabricate suitable GFRC panels using conventional manufacturing methods. 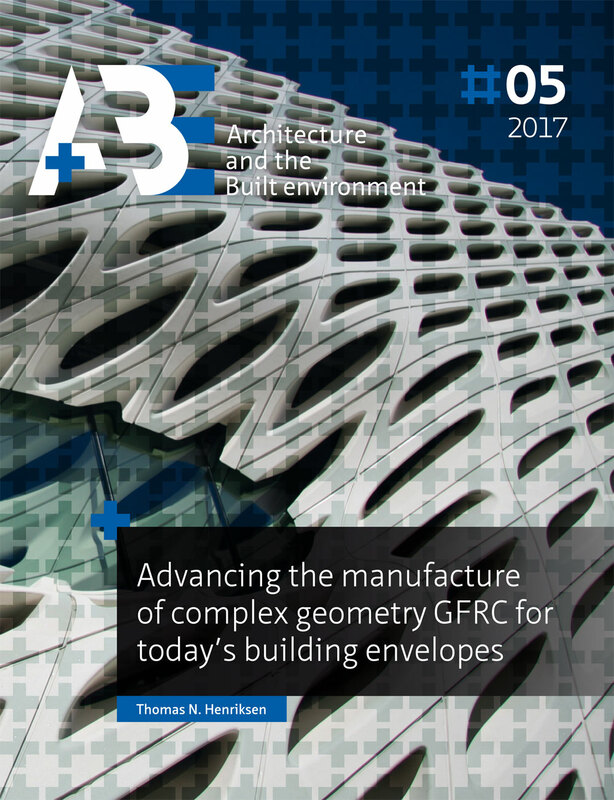 The literature showed that empirical performance characterization of GFRC had not been researched in detail regarding the limits of functionality or any systematic approach to understanding their use in complex geometry building envelopes. As a first step the key architectural demands, the main barriers and limitations in the manufacture of complex geometry thin-walled GFRC were identified by interviewing and visiting manufacturers, designers and key buildings. This identified the key barrier to be the process of producing the mould for casting the complex geometry GFRC panels. Solutions to resolve them were tested over several stages for each of the main production methods most suited for the manufacture of thin-walled GFRC, namely; the automated premixed method, the premixed method and the sprayed method. The results from the laboratory testing over all the stages, and the prototype structure manufactured with the identified solution from the testing, answered the main research question: How can the manufacture of complex geometry thin-walled GFRC be advanced to meet today’s architectural demands?